I’ve sketched this planetary about a year ago, I did not mark it as “SKETCHED” in my list of objects, so the result is a new drawing. 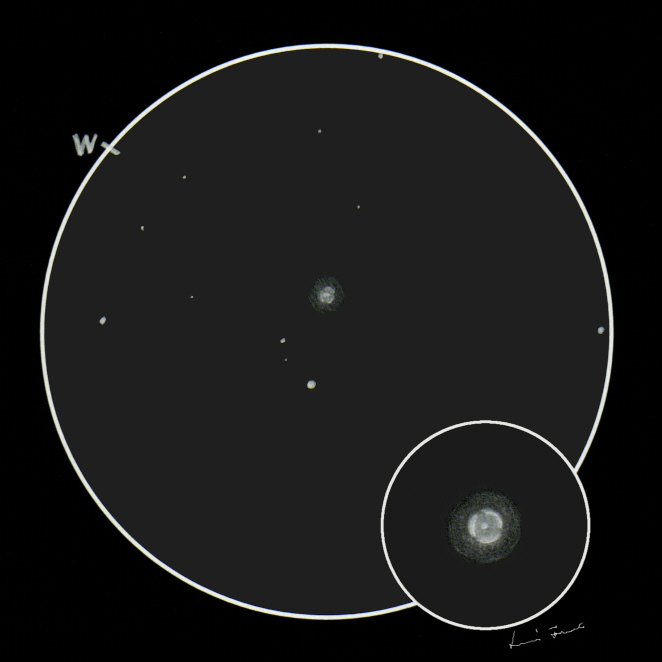 However, when I compared the two sketches, it was obvious to make this mistake, because now – even if conditions were not ideal thanks to the 50% Moon nearby – I was able to see and record much more details: the brighter arcs around the central star were not at all visible for me, but now they were easily noticeable. The UHC filter was not necessary to observe this object, however it boosted the intensity of the brighter central bubble. Gratulálok Feri az újabb pompás rajzodhoz!